Surveyors Insurance | Get A Free Business Insurance Quote! 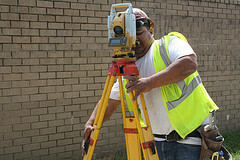 As a surveyor and small business owner, you know how important your job is. Clients count on you to get valuable information, so their construction job or any other project can be completed on time. As national independent insurance agents and brokers, you can count on us for your insurance needs. We understand how important your insurance is. We work with multiple companies to accommodate all needs. You will work with a licensed agent, who will counsel you into a comprehensive insurance policy. We pride ourselves with our companies insurance products. We know our policies have comprehensive coverage, that most insurance policies don’t. Take a look at a basic break down of coverages we offer.